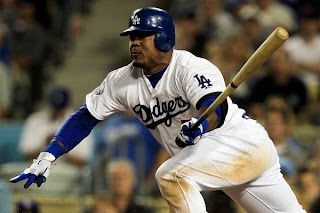 Those were my words about Juan Uribe on November 25, 2012 in the comments section at the ThinkBlueLA.com blog. I had enough, and I wasn’t the only one that felt this way. I wasn't through either. I suggested that bringing up a minor leaguer would be preferable and that eating $6 million plus would be well worth the money lost, because dropping Uribe would be an addition by subtraction equation. 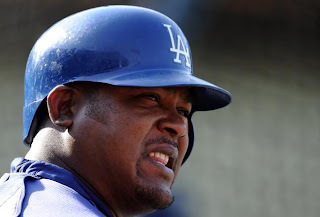 I know he’s only had 43 plate appearances, but Juan Uribe’s approach at the plate is reflecting a miraculous transformation. How else can you explain it than the fact that Mark McGwire is now his hitting coach and he’s reached him and got him to buy in to his hitting approach? We are talking about a player that has averaged a .297 lifetime on base percentage. A player that in his best year had an OBP of .326. He couldn’t buy a walk before. He couldn’t take a pitch if his life depended on it. Now you can count on Uribe working a full count in a high proportion of his at bats. First ball swinging? Not very often anymore. His approach is a complete 180 degree turn from what he has done his entire career. I know I’m getting giddy over an extremely small sample size, but I saw enough of Uribe in spring training too and this transformation is now a few months in the making. What is perplexing is how McGwire can reach a player like Uribe but he’s unable to do the same with Luis Cruz who is flailing away at first pitches and popping up at an extraordinary rate. I think it all comes down to reaching rock bottom. Cruz certainly is close to being there now, for Uribe he’s been there a while now. Coming off consecutive seasons with the Dodgers of on base % of .264 and .258 and a complete power depletion of 6 homers over 470 plate appearances, there wasn’t any other option for Uribe if he wanted his career to continue. He needed to change and adjust or perish. Many of us were calling for his outright release for months now. I have no quotes from Juan but I have to assume that he completely bought in to McGwire’s program. And though he’s not a world beater when it comes to batting average, he’s a master when it comes to getting on base, reaching at a .397 clip. One thing that you have to give Uribe credit for is his attitude. Many a player in his situation would have sulked their way to that hefty paycheck he receives. They wouldn’t have adjusted. They would have been a team cancer. But Juan has been a consummate team player. He’s been professional for his entire painful ordeal. 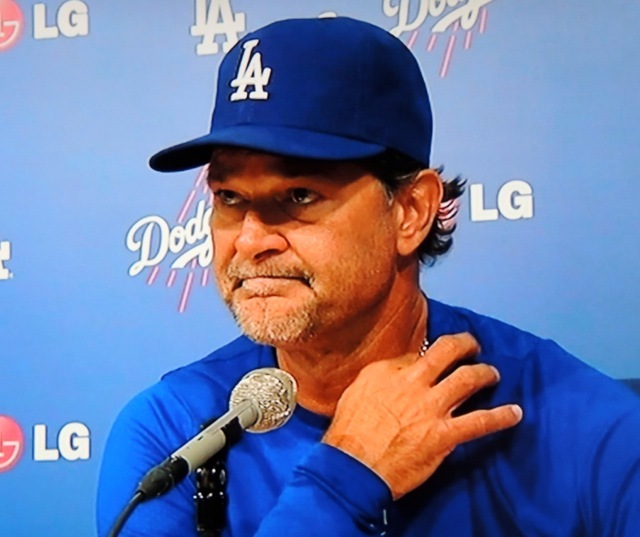 Relegated to being a cheerleader for most of the second half last year, Don Mattingly raved about his attitude. He came and did his work. He never complained. It has taken two years. Maybe, just maybe, Juan Uribe will finally contribute to the Dodgers in a positive way. By the way, Puig went 2 for 3 with a home run in his return to Southern League action yesterday. I hope everyone is enjoying what we are witnessing in this latest era of Dodger baseball because Clayton Kershaw is simply masterful. This is a pitcher as good as any that have come up through the Dodger system, and with the pitching rich Dodger legacy, that’s saying a lot. Still, with that said, he has a way to go for immortality worthy of Hall of Fame induction. To give some perspective of the where Kershaw is with respect to baseball history, let’s take a look at where his career statistics stand at this point of his career. As of today at age 25, Kershaw has a record of 64-39, a 61% wining percentage. His lifetime ERA is 2.75. If we were to make a big assumption, and say that he stays injury free, (avoiding catastrophic injury which is so common today). Assuming he pitches an additional ten years averaging 18 wins per year, he’ll still be 56 wins short of the 300 win plateau. That’s a long way to go to achieve a milestone that many consider to be an automatic for Hall of Fame induction, but most of us know that the W/L record is a statistic that often is misleading and doesn’t accurately assess a starting pitcher’s abilities. In this modern age of pitch counts and pitchers with specialized roles, it’s a lot harder to mount up those amazing starters stats that pitchers in previous decades could accumulate. Those traditional lifetime stats, (W/L, Complete Games, ERA, Shutouts, Strikeouts) are numbers that will never be approached again by starting pitchers in the modern game. Owners have invested too much money in their top caliber arms. The risks that were taken in previous decades are not even considerations any more. When it comes to a players health, 9 times out of 10, a team today takes the safe approach. So while Kershaw’s traditional pitching numbers aren’t reaching Hall of Fame worthy status yet, he’s certainly on the way. Now as Kershaw is about to surpass 1,000 innings pitched in his career, his name will surface on many all time statistical leaders boards that have a minimum benchmark of 1,000 innings tallied. Kershaw led the league in both of these statistics the past two years. His 0.977 WHIP mark during his Cy Young Award winning 2011 season was historically low for a starting pitcher. His lifetime H/9 is 6.9 which would rank 5th All time behind Ryan, Koufax, Sid Fernandez and JR Richard. Look for Clayton to be one of the all-time leaders in these obscure but important statistics when his career comes to an end. At the moment, when he breaks through with 1,000 innings pitched, he’ll rank amongst the top twenty WHIP pitchers of all time. 1,000 Ks by age twenty-five is quite an accomplishment. With five years of service time, that’s a speedy arrival to that milestone. Very few pitchers have done it quicker. Amongst them are: Kerry Wood (853 IP), Sam McDowell (932 IP), Hideo Nomo (937 IP), Pedro Martinez (933 IP). 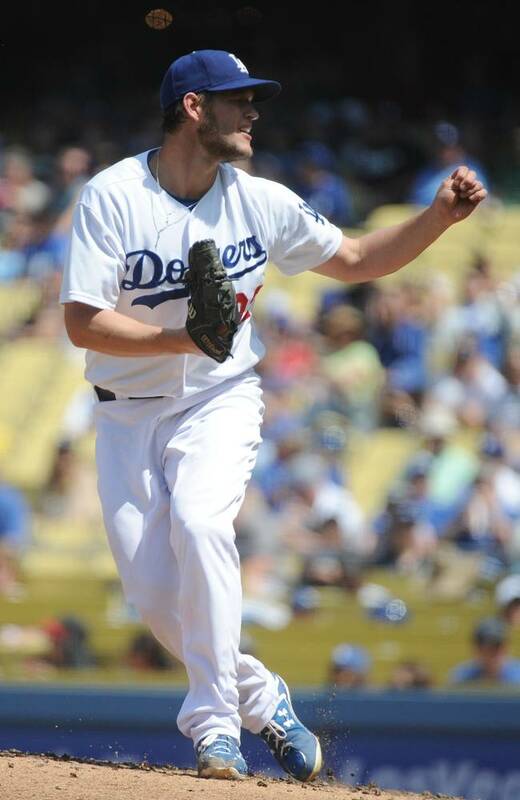 Kershaw arrived at the mark with 973 IP. The true test for Kershaw in this statistical category will be longevity. If he stays injury free, he has an outside shot at 3,000 strikeouts, a sure HOF worthy accomplishment. It should be noted that he led the league in strikeouts in 2011 and missed out leading the league last year by one K. He’s on pace in 2013 for well over 200 strikeouts and he already has tallied 46 and we aren’t even in May yet. One of the most complex sabermetric stats that determines the value a player brings to his team in wins by factoring in the defense behind him, park adjustments, run scale conversions and more. This may be the most valuable stat that justifies Kershaw’s HOF credentials. Clayton’s has tallied a WAR for pitcher between 5.7 and 6.5 over that last four seasons. With another ten years of that type of production, he’ll rank in the top 15 all-time in this category. Top ten if he goes 12 years. The only pitchers in history that will outrank him would be guys that lasted a long time, such as Cy Young, Walter Johnson, Roger Clemens, Tom Seaver, Greg Maddux, Randy Johnson and Lefty Grove. Quite amazing company in which he could find himself. This will be the key to measuring Clayton's greatness. 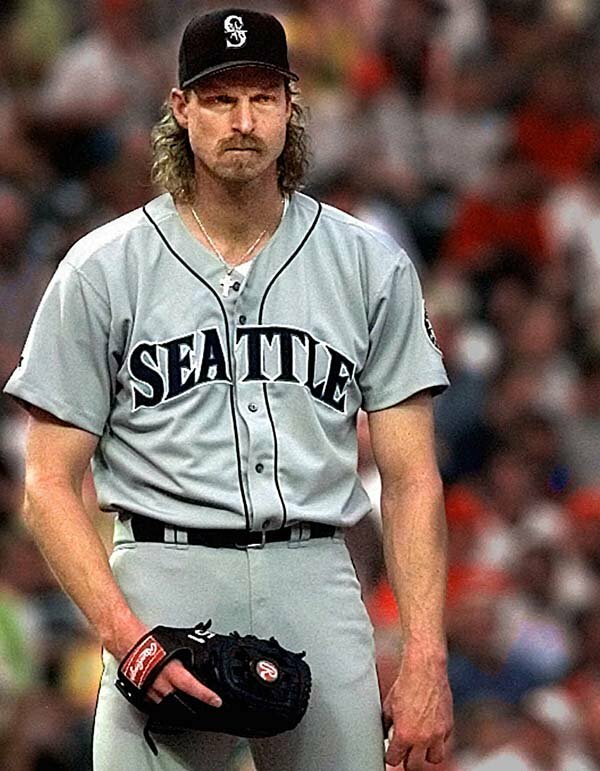 Very few pitchers these days make it through a lengthy 15-year career without eventually suffering a catastrophic injury requiring major reconstructive surgery which may require a full year lay-off from the game. You'll notice that even the fireballing pitchers back in history such as Bob Feller and Warren Spahn, had years off from the game for military service, which probably saved their arms from the wear and tear that would have shut them down. Additionally, their K/9 rates are relatively low when compared to the elite hurlers of today. My point is, a guy like Walter Johnson, who had well over 3,000 strikeouts, had a K/9 ratio at 5.3. This meant that he allowed batters to put the ball in play more often. That resulted in less pitches thrown (my assumption) or possibly, less strenuous pitches thrown, (something for which a statistic hasn't yet been developed, but is an interesting concept). For Kershaw to reach many lifetime milestones that other pitching greats have achieved, he'll probably have to learn to pitch more to contact and concentrate on spotting and location, much like Greg Maddux did in his later years before his career ended. I think we've all noted that he has already done this to some extent. Let's face it though. Kershaw won't be able to motor up his fastball to 94 MPH as he was doing today, when he's in his low to mid-30s. There will come a time when he's going to have to depend on pitching smarts over physically ability as his strength and skills diminish when he gets older. To that I say, let's enjoy it while it's there. Kershaw is at the top of his game right now and I'm hoping that this continues for many years to come. A Hall of Fame career is in the making, but by no means is it a sure thing. It’s the latest trend with the Dodgers. Have a key player go down with injury...win the game. Zack Greinke, Chris Capuano, and now Mark Ellis. Same old story, same old song and dance. All three being major components to the roster, with Ellis being the most productive hitter in the lineup. 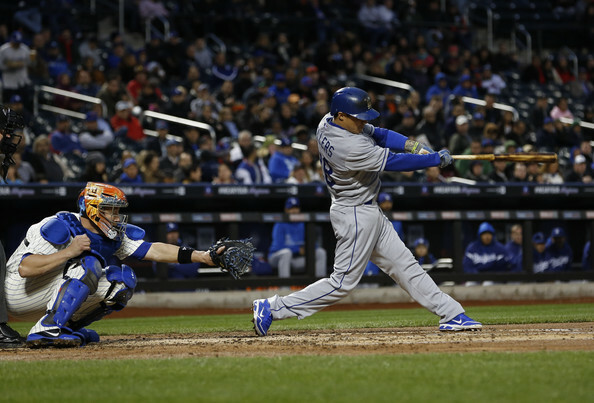 Now would you swap last night's win for a loss if coming out of it, Mark Ellis was healthy? Today we still wait for word on his Ellis’ condition but based on the post game comments of Don Mattingly last night, it looks like he may be out of action for a while. The Dodger manager said, when asked about Ellis' condition: "Usually when you see a guy come out (of the game), pull up like that...usually it's not something that only be a day or two." And speaking of injuries. Why is it that when injuries are announced, it’s always a “strained” something or other? Strained groin, strained quad, strained hamstring. I swear, the bone could be sticking out for all the world to see and the Dodgers will come out that the injury sustained was a strained something. Los Angeles-The Los Angeles Dodgers placed right-handed pitcher Stephen Fife on the 15-day Disabled List with right shoulder bursitis retroactive to April 22 and recalled right-handed pitcher Matt Magill from Triple A Albuquerque. Magill will start and wear no. 36 in his Major League debut tonight vs. Milwaukee. Twenty-three games in to the season and the Dodgers have used nine starters. This is undoubtedly the deepest starting staff in baseball. Someone needs to let the pitchers at Rancho Cucamonga know that there’s a pretty good chance they’ll be in the big leagues this season. Pick the number you want right now, and try to keep it in double digits, because at the rate they're going, they'll be out of those numbers soon. At least the announcement on Fife wasn’t a “strained” something. It appears that the Dodgers knew something was up with Fife as long as five days ago when they ordered Magill's start in Albuquerque to be limited to four innings. 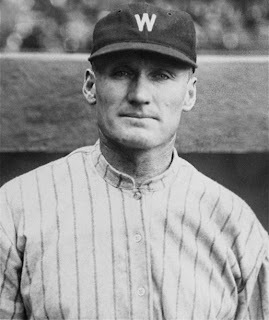 Magill was quoted as saying in Albuquerque that he could have continued pitching but that he was removed early from the game due to orders from the big club. I know the Dodgers are currently battling a hot Brewers team at home, but earlier today I received an instant message reminder. It notified me that today was a significant day in Dodger history. This was a game that I won't forget - newly acquired Odalis Perez almost tossed a perfect game. There was a time that the Dodgers acquisition of Odalis Perez as part of the Gary Sheffield trade looked almost like a steal of a deal. Opening the 2002 season 3-1 with a 1.64 ERA, he had the look of a Cy Young Award candidate. Even more impressive was his attitude. 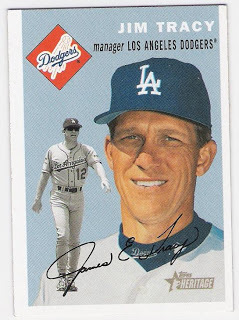 He loved being a Dodger, mainly because he was given a chance to be a legitimate Major League starter, something that the loaded Atlanta pitching staff didn’t afford him the opportunity to do. So it was, 11 years ago today, April 26, 2002, Odalis Perez was almost perfect. So near perfect that the game he pitched on that date left an indelible mark on my memory. It was the perfect game that should have been, but wasn’t to be. All because of a silly bounce, a small pebble, a dinky divot. Whatever it was, it caused a day for the ages to become a ho-hum one hitter that few remember on this day. This was a frigid April late afternoon game at Wrigley Field in Chicago. Perez got the start agains Kerry Wood and a Chicago Cub team managed by veteran skipper Don Baylor. 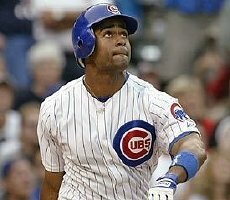 The Cubs had a respectable hitting lineup of players such as Sammy Sosa, Mark Belhorn, Fred McGriff and Moises Alou. 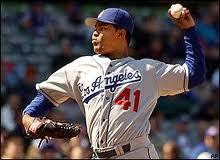 On that particualr day, Perez was dealing for a Dodger team that eventually would win 92 games on the season. Perez, 23 years old at the time, looked to be a promising Dodger fixture for years to come. Another gem discovered by then G.M. Dan Evans. None of us were happy about the fact that Sheffield had forced the Dodgers to trade him and that teams didn’t offer much in return for the unhappy superstar outfielder. Perez looked to be a gem of a find for Evans, though his luster would fade within a few years. On this day though, Odalis would shine as he never ever did again in his Major League career. Coming off a complete game in Colorado in his previous outing, Perez was completely confident. His pitching coach, Jim Colburn wasn’t so sure though as he watched his pre-game warm-up in the bullpen. “He didn’t warm-up all that well and I was a little worried,” he said. That worry soon disappeared as the Dodger offense heated up on the chilly day for 10 runs, (three in the fifth and six more in the sixth). All that remained to be seen was if Perez could continue pitching a perfect game as he kept retiring the side in order, inning after inning. Perez was getting easy outs. He struck out four of his first six hitters he faced, including the side in the second inning. No balls even threatened to fall for hits. This was a Dodger team that was excellent defensively. Izturis at short, Grudzielanek at second, and Beltre at third base. LoDuca behind the plate. Green, Roberts and Jordan in the outfield. It was a slick fielding group that was amongst the top defensive teams in the game. Corey Patterson broke it up. By the top of the 7th inning, Perez had retired the first 18 hitters. Up to the plate stepped a promising speedy outfielder, Chicago’s leadoff man, Corey Patterson. Patterson was a top notch prospect at the time. 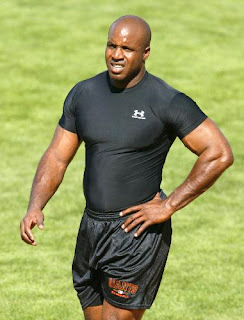 Many touted that he’d be the next Vince Coleman. 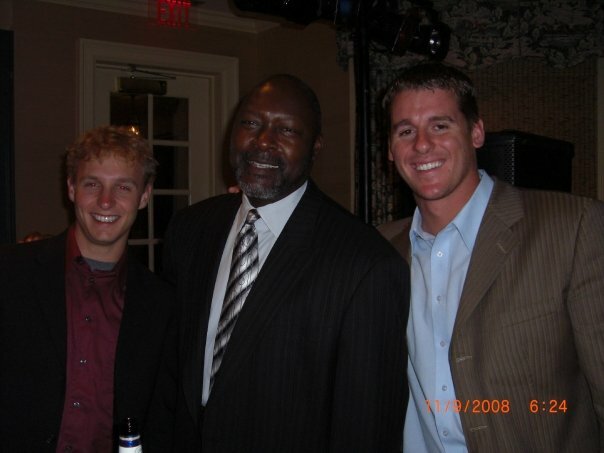 The third overall all pick in the 1998 draft (behind Pat Burrell and Mark Mulder), 2002 was to be the year that Patterson was to rise to stardom as a Cub. The centerfield job was his for the taking and he was hitting well over .300 when this game began. Izturis recovered, whirled and fired to first base. It was a bang-bang play at the bag, but first base umpire Randy Marsh ruled in Patterson's faveor, signaling him safe. No one argued. Patterson at the time was regularly clocked at 3.99 from home to first base. Anybody else on the Chicago team would have been out. The next batter, Christ Stynes slapped into a 6-4-3 double play. Perez went on to retire the remaining 7 Cubs that came to the plate in a 91 pitch affair. A 1-hit shutout. 27 batters faced. The Dodgers won 10-0. This might have been the best pitched game I ever watched, and I’ve seen a lot of them. Not because of Perez’s overpowering stuff. It was simply that nothing even approached base hit status. There were no exceptional defensive plays that robbed the opposition of hits. Just a lot of rolling grounders to infielders and occasional pop ups. The cold weather helped, but it wasn’t as if everyone offense was non-existent this game. The Dodgers tattooed Kerry Wood and Carlos Zambrano for 9 runs and 9 hits over six innings of play to put the game away. So that was it. Perez's chance for the ages missed by an eyelash. or was it a pebble. Maybe a divot in the dirt. Whatever it was, it was an amazingly pitched game. Those are some pretty amazing numbers and numbers that would look even better if you threw out the one start in which he had to leave the game because his elbow blew up while allowing three runs to score. Yes, Chad Billingsly was “ace-like” in his final seven starts last year and first two this season. All the while he was pitching with a partially torn elbow ligament. It all makes you wonder what he would do with a perfectly healthy arm. Sometimes it takes a while for a pitcher to figure things out. Billingsley had electric stuff when he emerged on the Major League scene back in 2006. He was a number one starter in the making. That curve ball buckled hitters. That sneaky fastball would handcuff others. He was soon an all star and a rising major league star. But he never seemed to reach that full potential. There were a lot of hiccups along the way and some disastrous post-season performances. Joe Torre lost confidence in him during a pennant stretch run and removed him from the rotation in 2009. It was a stunning turn of events and many fans were left thinking that Billingsley’s problems weren’t physical but mental. There are some guys that never grasp the mental nuances of the game. In no way am I saying that Billingsley wasn’t a smart pitcher. Fact is, he is. But there were some gamesmanship issues. There were allegations that he didn’t back his team and brush-back hitters when it was needed in the NLCS against Philadelphia. There were some failures to execute on the national stage in the biggest games of his life. Bills isn’t the first to have this happen to him. Burt Hooton was ineffective against the Yankees in ’78 and blasted by Howard Cosell on National TV because of it. Yet, he turned things around and by 1981 was a clutch pitcher in that series. There are recoveries of these sorts and Billingsley has been known to bounce back. Such was the case last season as he turned around a disastrous 4-9 win-loss record to 10-9 over a matter of 5 weeks work. Those were dominating performances during the dog days of August. 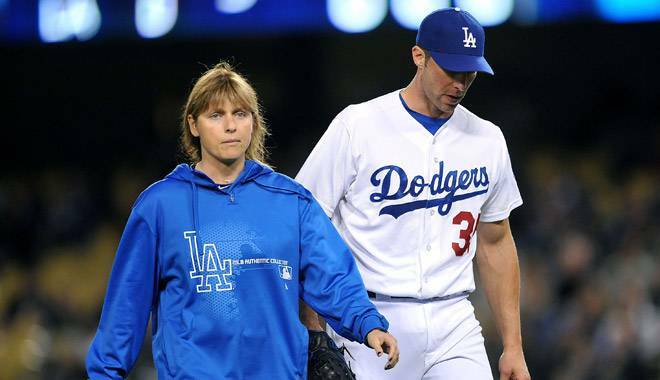 He was prepped for the pennant stretch run and the Dodgers were going to make it on his back. Then the elbow ligament tear was diagnosed. Billingsley was hopeful he could return in time to help, but nature’s healing process didn’t allow it to happen. And then, it confused him. Chad was feeling better. The pain subsided. He started working out and could really air out the throws. Perhaps surgery wouldn’t be needed and he could avoid the dreaded Tommy John surgery. What followed was a platelet rich plasma injection and programs that built up his arm strength. Bills said the arm felt great in Spring Training and that he’d be ready to go. There were pitchers in the past that had avoided the surgery and been very effective like Takashi Saito. This Dodger team was loaded and he wanted to be a part of a championship season. When Billingsley recorded a win at San Diego in the second week of the season, he was all smiles on the Dodger pre-game show the next day with Steve Lyons. “Aren’t you glad your arm isn’t in a sling and you aren’t thinking about next season?” he was asked by the Dodger announcer. Chad affirmed that he was thrilled to be a part of this season and that he really looked forward to contributing to a very good Dodger team. Two weeks later to that day, he was getting the Tommy John surgery. They say hindsight is 20/20, and it certainly is. We’d all prefer to be seeing Billingsley prepping for the month of September this year, and that would have been the case with him had he received the TJ Surgery in late August, 2012, when the elbow ligament tear was first diagnosed. But Chad thought he could beat this thing. He was surely beating the league with a torn ligament, and his stats attested to that fact. Now it’s a waiting game for him. A long and lonely waiting game. Billingsley enters next season in the final year of a lucrative contract he signed a few years back. He’ll only be 29 years old. He’ll be pitching for his life too. 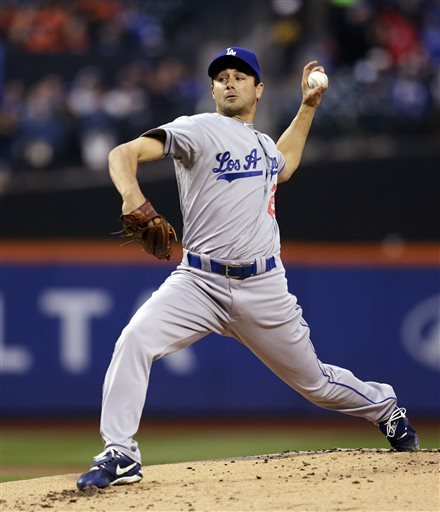 The Dodgers have the option of buying him out following the season for $3 million or paying him $14 million to pitch the 2015 season. All really depends on his recovery from surgery. Who knows, $14 million might be a bargain for a top of the line starter in 2015. The question remains if Chad will adequately fill that role. Many return from TJ surgery stronger than ever and with Chad’s pitching knowledge and a new arm, there is little doubt that he could return stronger than ever. One thing for sure, he’ll give it everything he’s got. That tends to happen when your career is on the line. “Who would have figured that Ted Lilly would hold his own against the Mets ace phenom Matt Harvey? Baseball is that way though, you never know how things will turn out. 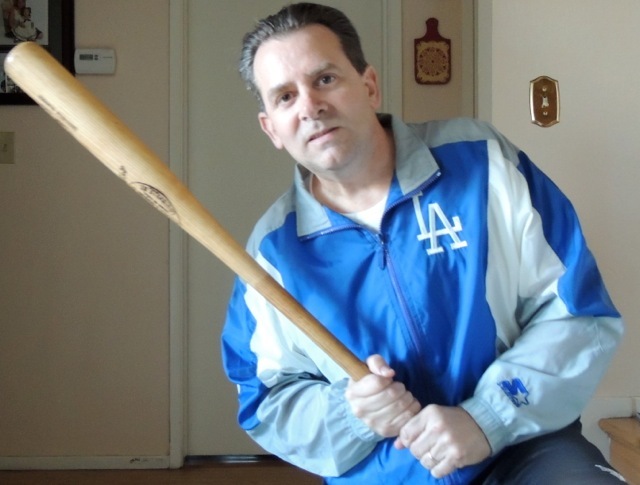 There have been a lot of running jokes about Ted Lilly by Dodger fans over the last few years. One is that he’s on the D.L. due to a neck ailment caused by the quick turn he makes after releasing pitches to watch homers being pounded into the outfield seats. The other is the Lilly construction worker hardhat that some LF Pavilion faithful wear when he takes the mound. “...he was within an out of earning his first win in 10 months. Unfortunately, the bullpen let him down. It was a gritty performance by Lilly, who mixed his assortment of off speed pitches, breaking stuff and fastballs (ranging between 83 and 89 MPH) to constantly keep the Met bats off balanced. Working himself into trouble in the bottom of the 5th, Lilly yielded a run and three straight hits. Deep inside I was wondering to myself why Mattingly wasn’t bringing the hook with him. It was probably because nobody was warmed up yet as the rally developed so quickly. But Ted gutted it out. Facing the heart of the Mets order, he retired the 2, 3, and 4 hitters consecutively to put a stall into the Mets mini-drive. That was it, Lilly was done for the night. 86 pitches thrown, 5 IP, 6 H, 1 ER, 2 BB and 7 SO. When the Dodgers broke out the bats in the top of the 6th, Matt Kemp delivered an opposite Field home run, his first of the year and Lilly departed the game with a 3-1 lead. What a shame that the bullpen faltered again. I have to wonder why League put anything near the plate to clutch hitting David Wright when he had two bases open and being within an out of recording a save. A win tonight would have been a real confidence booster. Oh, well. Just one of 162. Go get ‘em tomorrow. Bonds Plaque Stolen at AT&T Park. San Francisco Giants officials are reviewing video tape from security cameras but thus far have not determined who removed it and how it was disassembled and stolen. Word on the streets here is that the person who removed the commemorative plaque will return it shortly after he welds an asterisk to it. 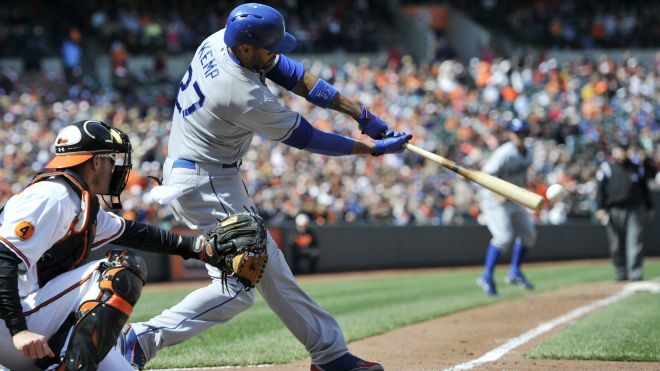 Two consecutive wins makes the recent Dodger slump a bit easier to take. What a great game by the teams most inspirational player this year, Mark Ellis. In all honesty I was preparing a piece calling for sending Sellers and Cruz back to Triple A Albuquerque and viola, Sellers wrapped out three hits raising his batting average from .170 to .220 in a two hour period. One game really hasn’t changed my position on Sellers, who I believe is a good team guy that can’t hit himself out of a paper bag, but with Hanley Ramirez’s return apparently a lot closer than we originally thought, I suppose he should stay until his return. He does play good defense providing a steady glove up the middle. Those are the types of stats we all hoped Dee to produce, and though it’s a relatively small sample size, it’s a great start from the offensive side. However, Dee’s 7 errors over 17 games show that he still has a lot of work to do as his glove remains to be something to worry about. Perhaps the shortstop position should be reconsidered with Gordon. Now regarding Luis Cruz. His .087 start over the first 50 ABs this season is a real concern. The league has figured him out and exploited his weaknesses. He’s first pitch swinging constantly. He’s a pop up machine and his confidence is shattered. Blogs have been bashing this guy hard the past few days and I don’t have much positive to say about him either except defensively, he can pick it. Luis might need a trip to AAA to regain his confidence and his swing. And speaking of Triple A Albuquerque. 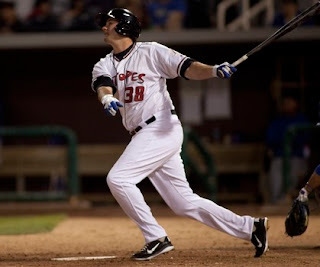 Scott Van Slyke, a player with no open position option with the Dodgers is tearing up the PCL. I’m almost convinced that the Dodgers could use his bat off the bench as they have no real power threat amongst the current reserves. Van Slyke is not even on the 40-man roster currently. The Mota Bat Has Arrived! 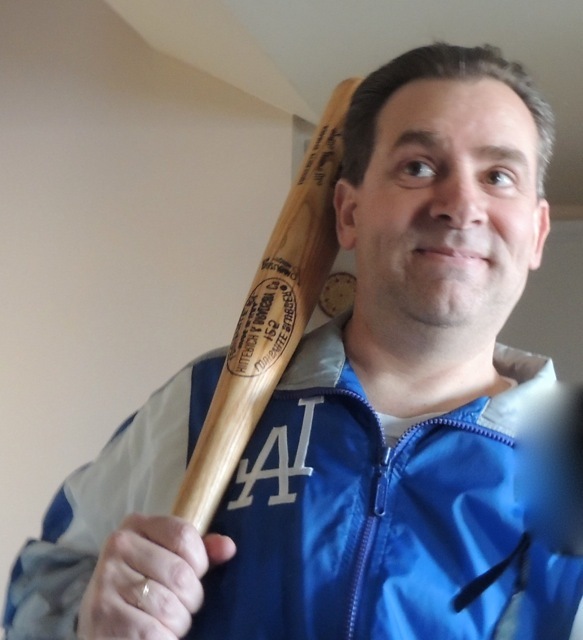 Back in 2010, my third blog piece ever, I wrote about a prized baseball bat that my brother had when we were teenagers. That bat broke and for years I have longed to replace it, as it belonged to my brother and was one of his favorite possessions. I also felt some responsibility for its demise. 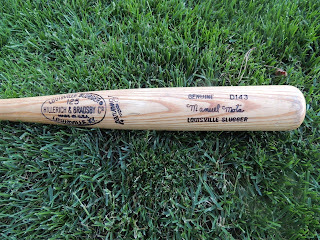 The Manny Mota model D143 Louisville Slugger bat was a perfect weight and length. This cone handled stick allowed you to hold it all the way down to the nub. It was everyone’s favorite and frankly I’m surprised that it didn’t crack earlier than it did. For years I have sought out the exact model. The search came to an end today. 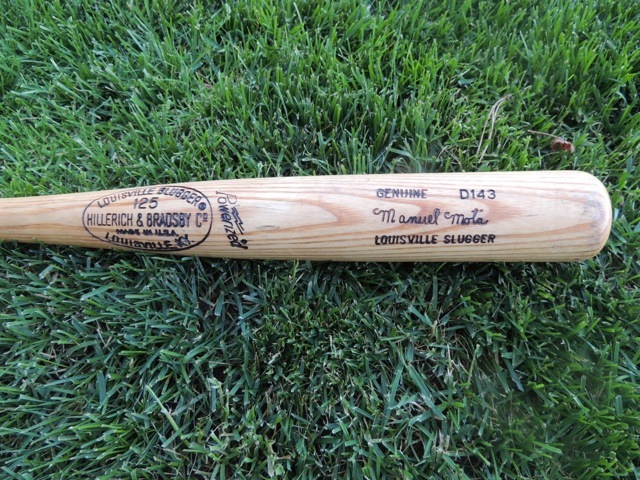 After attempting to buy the exact model from various eBay sellers over the years, I finally found a game used model, un-cracked Mota model D143 Louisville Slugger for a negotiated price of $165. Though it was my brothers birthday last Friday and I had expected to receive it in time for his day, it didn’t arrive until today. But better late than never I guess. So it’s time to wrap it up and send it. I’m risking that he won’t read this post and know about it before it arrives, but we’ll see. I only wish I could see his face when he opens the arriving package in the mail. We’re both in out 50s now, but for some reason, opening a pack of baseball cards, or being surprised with a piece of prized baseball memorabilia brings out that same excitement as if we were little kids. Happy Birthday, Taylor. I’m only about 35 years late with this gift. I just want to take a few hacks with it before sending it off. Knowing my luck, I'll probably crack it. The night that Zack Greinke broke his collarbone, the Dodgers rallied for a late victory. It didn’t feel like a win. We were outraged at how the injury went down. Emotions were high. A lot of stupid things were being said in the San Diego corner and from some media that had no idea how Greinke was wronged. Today, I had the same feeling. Win a battle, but lose a war. If the Dodgers are going to swap wins for starting pitchers, we won’t be surviving the season much longer. I say, “just get it done already,Chad.” Get the surgery over with. Partial elbow tears don’t heal on their own. We can talk about Takashi Saito and his ability to avoid going under the knife, but he knew that if he did at age 38, that his career was over. Not much of a choice to make there. Such is not the case with Chad Billingsley. If he gets the TJ surgery now, we can probably expect him back for the stretch run in 2014. That might not be so bad. It’ll be almost like getting a top of the line starter at the trade deadline next season. 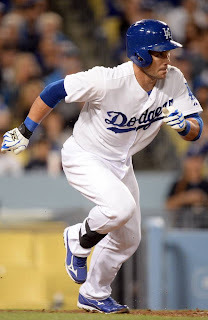 But by delaying the inevitable, Billingsley risks missing two full seasons. I simply don’t get the thinking on his situation unless he strongly feels the initial diagnosis was wrong. His stubborn nature makes me believe that he still thinks he can weather through this without surgery. Dr. ElAttrache might say differently. Another 15 day D.L. stint? Let’s get it done now and get the clock ticking to a full recovery. Going into spring training with those nine starters doesn’t seem so silly now. I figured Stephen Fife would get a spot start now and then this year. Never did I believe that it would be by April 21st. Currently with the ball club down to five and an iffy five starters at that, Ted Lilly is about to make his first start in 10 months after getting hit hard in rehab stints in Albuquerque and Rancho Cucamonga. Trading away young arms like Nathan Eovaldi, Allen Webster and Rubby DeLa Rosa is weighing heavy now. With Billingsley, we all feared this. I was of the opinion that this result was inevitable. Now let’s just hope that the remaining roster can avoid injury. It's gut check time for the Dodger 25 right now. Their on field performance since Greinke went down' hasn't been too good. Hopefully, they team can rejuvenate themselves and rally now. A win or two might be able to do that. Then again, things can't get much worse, can they? By no means have I given up on this team. I hope I'm wrong. I certainly root for them just as hard as ever, but there comes a time that optimism is replaced by realism. There are 147 games to be played, but save some drastic roster moves (which I can't see coming right now), I think I've seen enough of this offense to know there are some serious problems. It isn't only the 15 games to start the season that have changed my lofty expectations for this team. Combine it to the September swoon of last year and a lackluster spring training, that was an extremely long spring training schedule. If the pitching can keep this club in the race up to the trade deadline, with the purse strings of ownership, then there is hope. But staying close may not be realistic with the losses of Greinke and Capuano plus the insertion of Lilly into the starting staff. Winning the division this year doesn't look like it'll happen. We're probably in for a long, bumpy ride in 2013. Dodger "O" Goes "0 for the Homestand"
I think I’m coming to realize that a lineup with a significant combination of the names like Sellers, Punto, Cruz, Schumacher, Mark Ellis, Hairston, and Uribe, doesn’t strike fear into the opposition. Is it any wonder this team entered tonight’s game ranked 14th in the league in runs scored? Throw in that Kemp is hitting under .185 and Ethier isn’t setting the world on fire, and this team is dead. Let me add this observation though. I believe that not only did Carlos Quentin break the collarbone of Zack Greinke. The Dodgers spirit seemed to break at that time too. At the time of the injury I opined that there might be a silver lining in the injury as it would light a fire in this team. Instead it has had an opposite effect. I hate to say this, because I hate the Giants with a passion that is beyond measure, but last year when they lost their left fielder who was leading in the batting race at the time, (Melky Cabrera to a drug suspension), they rallied and won the pennant and eventually the World Series. They didn’t sulk in their misfortune. They manned up and simply won the thing. And that’s what good teams do when they face adversity, they overcome it. Tonight, Clayton Kershaw had his worst start in about a year, and on a day when we all figured that the ship would be righted by the staff ace, the Dodgers leave on an East Coast swing on a 4 game losing streak and under .500 for the first time since the third game of the season. Kershaw gave up three homers for what I believe was the first time in his career. Still, with Kershaw stinking up the joint, the Dodgers were still in this game. Down 4-1, they loaded the bases in the 5th and a clutch two-out hit would have put them right back in this thing. Again in the 7th, bases juiced again, this time with one out, and they drew blanks. There is no clutch hitting with this team. They are pressing and they are defeated before they even step into the batter’s box. When the Dodgers loaded the bases again in the 9th with one out and Kemp lifted a sac fly to bring the Dodgers within 5 runs, the Bronx cheer from the remaining faithful was heard. I don’t want to spread panic, but what good is there to report? Our ace is floundering. The offense is pathetic. The clutch hitting is non-existent. The defense is suspect. The bullpen is getting blasted. Heck, even when a starter tossed 8 plus innings of shutout ball as Beckett did in his last start, he got the loss because Dodger bats were silenced. The guys haven’t got anything going this season. The offense has not yet shown up. The Mark McGwire magic hasn’t spread to the Dodger offense with the exception of Carl Crawford. I have been spreading the word that it’s early and panic shouldn’t set in but holy moly! We just got swept by the Padres and none of the games were even close. Padre announcer Mark Grant was actually talking smack tonight, and he had every right to do so. Was there any good news tonight? Adrian Gonzalez was 3 for 3. Oh and the Lakers made the playoffs, so I guess Magic is happy. As the Dodgers struggle and continue to fail to perform in clutch hitting situations I'm hoping that this is an anomaly and not a trend. It makes me wonder though. Last season's September collapse of the offense could be partially blamed on Kemp's injury and the last minute acquisitions that created an August 25th assemblage of players that had about 30 games to put things together and take the division. We saw a ball club that slumped deeply on the offensive side before playing well at the end, which turned out to be too little too late. Now as that assembled team has had a full Spring Training, (and extended one at that), on paper things looked positive for them heading into 2013. Unfortunately, the same tune from early to mid September last year is being played again in April. It is a total lack of clutch hitting and the frustration is setting in. This lackluster Dodger start makes me wonder if this is what the makeup of this team is. Now sitting at .500 after 14 games, you'd think that this isn't the time to panic, but maybe it is. The recent play combined with injuries that have hit don't get many of us excited about the schedule they will face over the next few months. This is the time for guys like Kemp, Gonzalez and Ethier to carry this ball club, but there aren't any signs that will happen. Losing to a team that should be a basement dweller like the Padres is a concern, as this is really a soft part of the schedule. So as band wagon fans jump off the Dodger bus in droves as the Dodgers go through their first losing string of the year and tumble back to .500, I’ll switch gears as this team we follow with such loyalty is completely depressing me. I could address the injuries, the slumps the bullpen failures and the questionable lineups. But the struggles will happen over 162 games and re-group is a constant during the season long marathon. Tomorrow is another giveaway day at the Stadium, something that I usually look forward to if it happens to be a game I'm attending. I love collecting Dodger giveaway collectibles as most do. They could hand me a frayed apron, held together by a couple of strands of twine, slap a flying baseball Dodger logo on it and suddenly that $1.50 worth of shredded cloth is a super cool grilling apron. Give me a cheap plastic license plate frame with an interlocking LA logo on it and I'll attach that thing to my vehicle because I think it looks great. 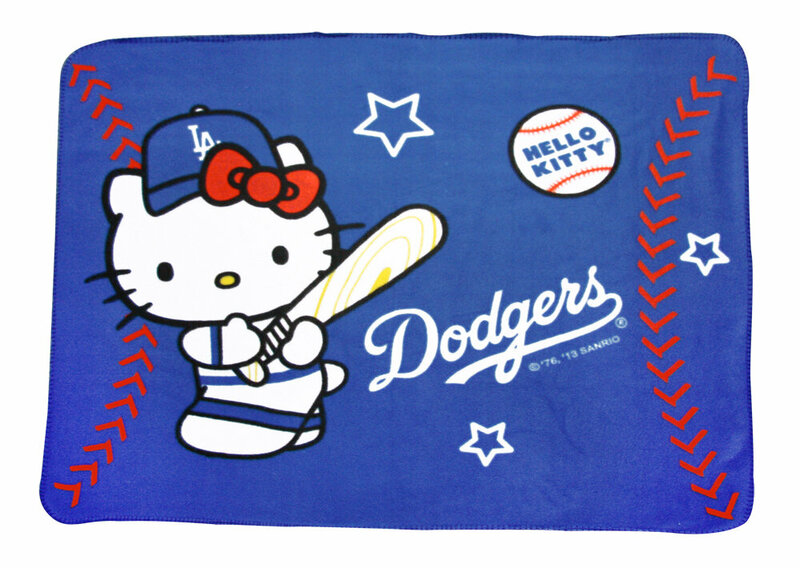 A giveaway Dodger beach towel is hanging in my bathroom and it's about as ratty and worn as any towel I own. My wife has a collection of plush towels from Bed Bath and Beyond that are of top quality. I don't touch those things, 'cuz my Dodger towel is there. I think it's safe to say that with the exception of the ceramic Dodger figures an occasional replica award giveaway and the bobble head dolls, the give away trinkets from Dodger Stadium aren’t high end items of premium quality. But so what? Give me that cheap plastic license plate frame, the t-shirts, beach towels, flimsy caps, fleece blankets, plastic super hero figures and sweatshirts. Cheap quality. But what do you expect? They give out 50,000 of them? And you know, every single item is awesome and something I want to own. It has been the same since I was a little kid. That is, every item with the exception of.....(drum roll)..... Hello Kitty Giveaways. I will say it until my last day on earth. 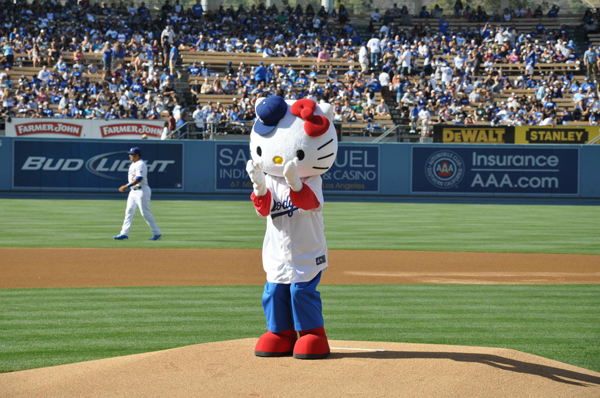 There is absolutely no place for a Dodger “Hello Kitty” doll. I understand that little kids love them. I get that. But come on guys. Who are they marketing to? Three year old children? I guess they are. Future Dodger fans of America. The same demographic that plays is t-ball games where they don't keep score. OK, that's my rant. I'll probably get in trouble here, but the Hello Kitty promotion isn't my cup of tea. Have you noticed though? 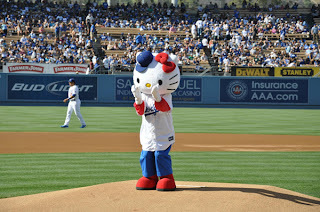 The Dodgers haven't been in post season play since the Sanrio Hello Kitty promotions started. Call it the Curse of the Kitty. Review of Josh Suchon's "Miracle Men"